Sounds like a dream, right? Yesss, I hear the marketer in me saying. 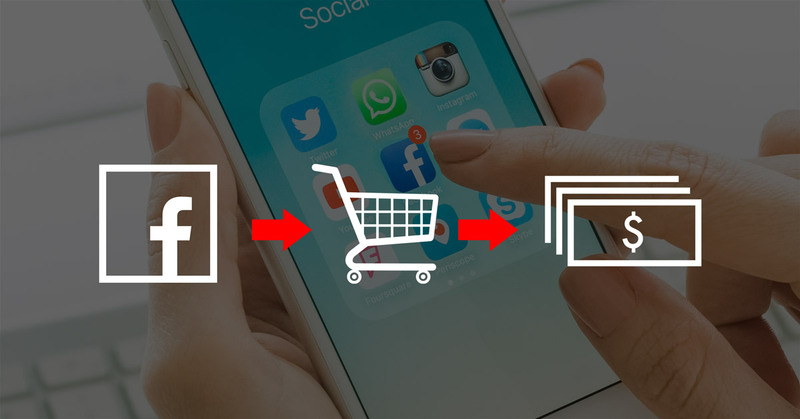 How does the retargeting audience set-up work? That's why I wrote this post - to answer all these questions, and more. 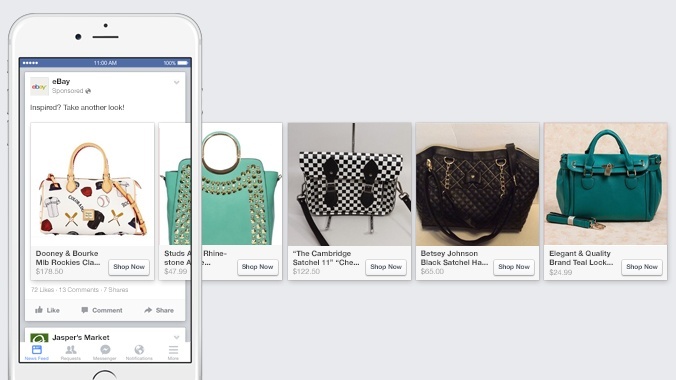 What is Facebook Retargeting and should I use it? Facebook Retargeting is simply a tactic where you target the people who have already engaged with your brand on Facebook or visited your website. People use them because they work. Retargeted visitors are 70% more likely to convert on a website compared to ones who aren’t targeted for the second time. For example, you can retarget visitors who clicked on an ad but didn't convert. Then, display relevant offers in their feed to get them to come back. You can also use remarketing on Facebook to up-sell and cross-sell products to past purchasers, increasing your sales revenue even further. And that's only scratching the surface of what you can do. But I'll leave it there just to wet your appetite. 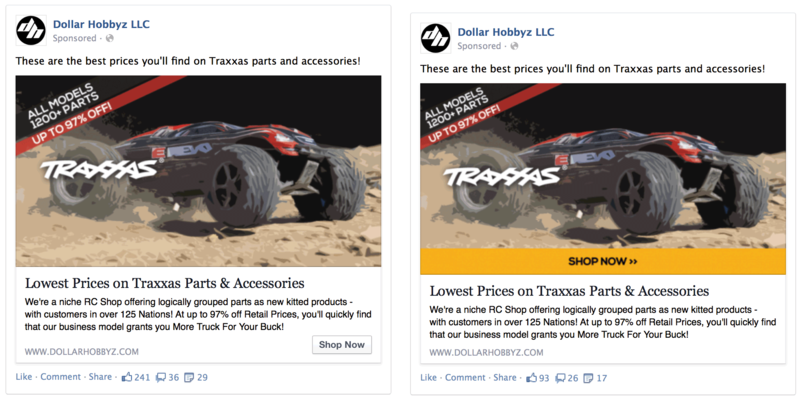 So, should you use Facebook Retargeting to market your products? Raunchy jokes aside, this stuff works. As long as you have the money to invest, it's like putting money into a money machine and getting out more than you put in. Of course you want to do that! However, not all remarketing is good remarketing. You have to know a few things or else you'll just be throwing money into a pit. But that's why you have this guide! Do NOT lump all your visitors into one big retargeting audience. This simply won't work. I don't mean to sound like a hippie, but everyone is unique and we all have our own interests, motivations, and needs. Sure, many of us are similar, and that's where audience segments come in, but 100% of your audience isn't similar. Lumping all customers together is where most businesses screw up their retargeting. Once you've done those three things (and let it run long enough to give your pixel some data), you're ready to start retargeting. 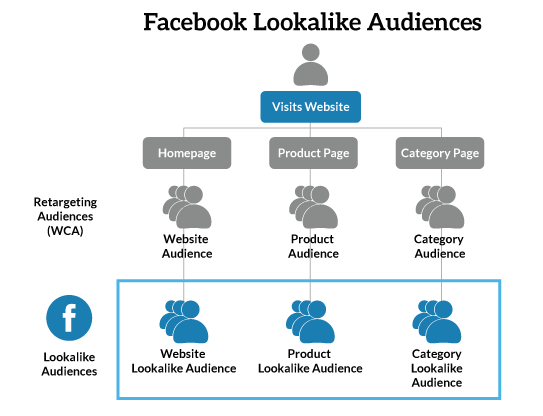 Custom audiences are the bread and butter of Facebook remarketing. Use them to run tests on different audiences to see which convert the best and which to cut. Existing customers. According to Marketing Metrics, “The probability of selling to a new prospect is 5-20%. The probability of selling to an existing customer is 60-70%.” Advertise related or complimentary products. People who abandoned cart. 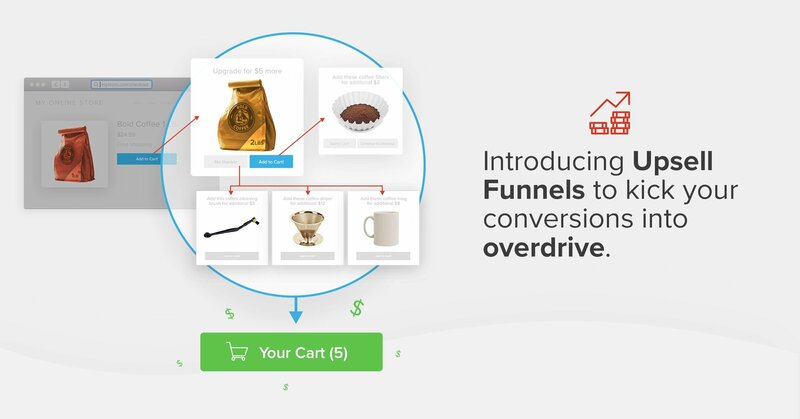 Pulling in your abandoned carts is an easy way to create high-converting ads. Think of these people as hot leads; at least some of them abandoned due to distraction rather than not wanting the product. Your email list. Your current subscribers are warm leads - after all, they opted in for something you had to offer. So on some level, they know you and care (at least a little bit) about your brand and/or products. Always be building your list. Website visitors who didn't convert. Anyone who came to your website but didn't buy is a good lead. While they probably won't convert as well as the above audiences, they'll still convert better than advertising to cold leads. As you can imagine, if you have hundreds or thousands of products, this can get complicated and annoying very fast. That's where Facebook Dynamic Product Ads come in. A Facebook Dynamic Product Ad can automate all of the manual processes of creating ads for your products. Website visitors see ads based on the products they looked at, and how close they came to checking out. You only need to set the parameters and create the ad template. After that, it runs automatically. This is why I told you to upload your product catalog to Facebook. That's where the ads will pull from. 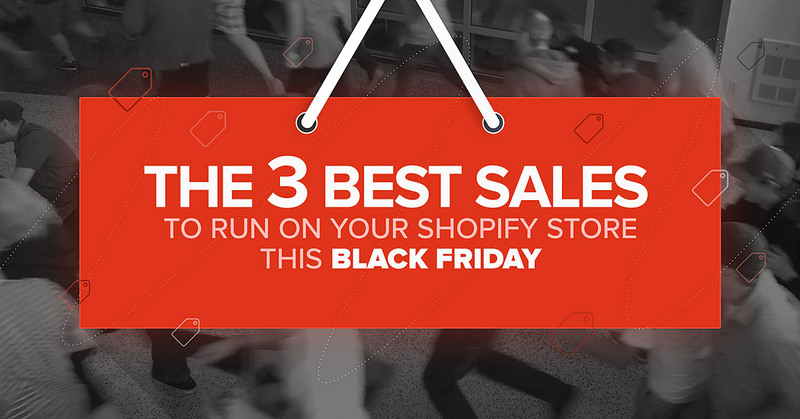 To set them up, I highly recommend checking out this guide on Shopify. They run you through the whole process step by step. Once you have them set up, it's time to consider your budget. Let's run through an example. Say you're selling t-shirts. On every shirt you make $10 profit. That means you can spend up to $10 to acquire a customer. Let's go a step further and say you spend $1,000 on Facebook ads and reach 1,000 people - $1 per click (pretty good). You have a conversion rate of 10% (really good), so out of 1,000 visitors, 100 buy. You just spent $1,000 to make $1,000. At first glance this looks like a failed campaign. You only broke even. In reality, you now have 1,000 people to remarket to. You remarket to those initial leads. Except this time, your Facebook pixel is a bit more matured, so it knows who has a greater chance of clicking. Your CPC (cost per click) goes down to $0.50 and you have another 10% conversion rate. You've now spent $500 and made $1,000. Now we're seeing success! 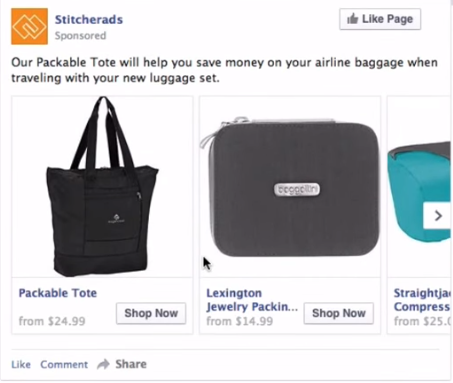 Key Takeaway: Don't be afraid to spend so much that you break even on your Facebook ads. But try not to get too negative if you can help it. Now your Facebook pixel has seen 200 people that converted into customers. You can now take those 200 customer email addresses and create a Facebook lookalike audience to display ads to. Lookalike audiences are audiences that have similar demographics and interests as the audience that converted well for you. You'll typically see a higher conversion rate and cheaper CPC on a good lookalike. You don't need to wait until you run Facebook ads to create them, either. You can create a lookalike audience of your current customer list! Just upload their emails and Facebook will do the rest. Just because your remarketing ads are now on autopilot thanks to Dynamic Product Ads, doesn't mean you should just let it go without keeping an eye on it. But make sure you only test one variable at a time. Otherwise, you won't know if it was the image or the new copy that caused an increase or decrease in clicks. For more help optimizing your Facebook ads, check out these tips by Social Media Examiner. Facebook ad retargeting is a powerful way to increase your conversions at a lower cost per sale. By following the steps in this guide, you'll have a successful remarketing campaign up and running. You'll know why it's working (or not) and how to tweak it. As always, if you have any questions, feel free to ask me in the comments. And if you want to know more, check out this post on How to start and scale your Shopify Facebook ads for the holidays! Lastly, if you found this guide helpful, please share it so we can help as many store owners as possible grow their profits.